Pixar director Pete Docter recently experienced something every father dreads: his daughter, Ellie, once an optimistic, bubbly and goofy young girl grew up to become a closed-off, brooding and angst-ridden teenager. What happened to his child? What was going on inside her head? This moment was the beginning of Inside Out. After helming the Oscar-winning Monsters Inc. and Up, Docter’s next Pixar movie goes inside the mind of a young girl name Riley to meet her five core emotions. 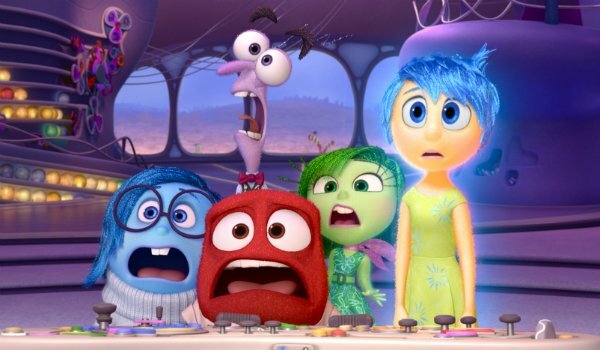 There’s Joy (Amy Poehler), Sadness (Phyllis Smith), Fear (Bill Hader), Disgust (Mindy Kaling) and Anger (Lewis Black). Together, they manage Riley’s day-to-day emotional state from the headquarters inside her mind. All is smooth sailing until Joy and Sadness get thrown into the wilderness of the mind from a freak accident, causing Riley to plummet into despair. Now the two most important emotions must race back to headquarters before any further (and more permanent) damage occurs. In going inside Inside Out, we headed to Pixar headquarters in Emeryville, California, to speak with Docter, producer Jonas Rivera and the team of animators and technicians who made this vision a reality. Here are some of the biggest takeaways to know before the film hits theaters on June 19. 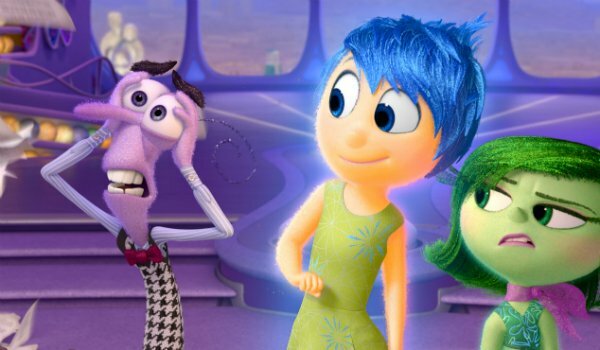 Joy and Sadness play important roles in Inside Out; Joy was the first emotion to pop up in Riley’s mind, followed by Sadness. But an early draft of the film saw the focus on Joy and Fear. The film’s events see Riley entering Junior High and, according to Docter and Rivera, Fear seemed to be a prevalent emotion. "So many of my decisions were based on the fear of what people might notice or not," said Rivera. "In a sense, fear is an anchor and joy is going to pull him forward, right? So it felt truthful." As they continued to develop the script and work out the kinks of the story, the core emotion they wanted to convey was a loss of childhood, which had more to do with sadness than anything based in fear. Docter said the film’s ending helped cement this idea for them: "Joy has to go back and correct the error of her ways. What is it she’s going to do? What is she acting on? And that decision alone, kinda speaking cryptically here, has more with sadness as it does with fear." "Thirty minutes after the pitch I was like, ‘This needs to be at Epcot,’" said Rivera. 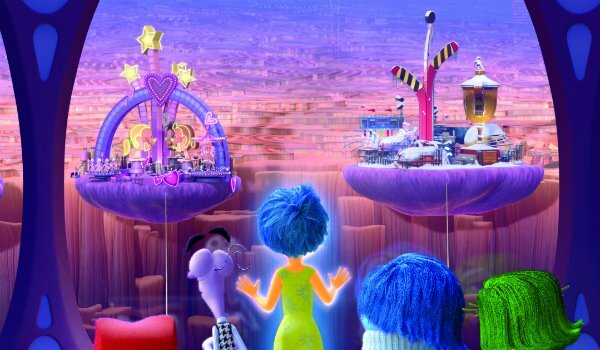 So much of Inside Out is ripe for the theme-park treatment. There’s the headquarters, a command center for the mind; the "Train of Thought," which transports memories and thoughts to and from headquarters; "Longterm Memory," a maze that houses all of a person’s memories; Imaginationland, a place where our minds like to run wild; "Dream Studios," a Hollywood-like atmosphere where our dreams are staged and produced; and the "Islands of Personality," each centered around a core characteristic of ourselves. "We’ve definitely called those [parks] guys and showed them along the way," said Docter, "and our hope is that there’s some sort of — it feels like Epcot Center to me, in a good way." For as much as he would like this to happen, though, he minded us of how complicated this process is, and how various factors, known or unknown, play into these decisions. "We hope our characters walk around on Main Street." The Secrets Vault: a hidden place where all of Riley’s secrets, like how her friend Meg kissed a boy, were kept. Music Cognition: a place for understanding music as part of a language. "When you watch your cat, you know your cat doesn’t hear it," explained Rivera. "But for us it means something." In an earlier draft, Joy starts talking while in Music Cognition, but then her voice becomes music and takes shape. This was eventually cut because it felt redundant compared with another setting, "Abstract Thought." Hobo Camp: a bizarre place that served as a collection of Riley’s doodles and "stuff she created as a 3-year-old." Essentially, it’s a place for out-of-work imaginary characters, and it would’ve been the first appearance of Bing Bong, Riley’s childhood imaginary friend. Other characters who popped up here were Ms. Scribbles, a poorly drawn stick figure, and Mr. Sun, a play on those arcs kids always draw in the corner of the paper to represent the sun. The School Play: A scene cut from the script centered on Riley performing in a school play. Joy is so excited that she steers her into a "social firestorm," embarrassing Riley in front of her classmates. Docter’s team needed to make Joy more likable, though, so this scene was dropped. After the animation and voice acting for a Pixar film are complete, that doesn’t mean it is set to roll on screens. The next step is the lighting department. It’s here that the frames and characters are given depth and made dynamic. The biggest challenge for Inside Out, however, was dealing with characters who are essentially light sources themselves. As emotions, it was important for the filmmakers to note that they did not have actual skin, but were rather made of energy that looked similar to champagne bubbles in texture. 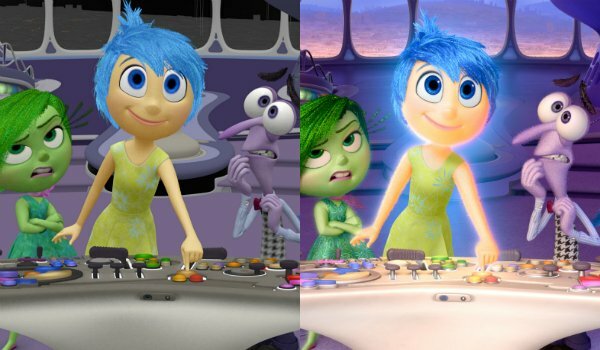 Since Pixar’s animation and lighting techniques are constantly advancing depending on the needs of a film, new technology was developed to help speed up the process of lighting characters, such as Joy. Instead of manually lighting her in every scene, this technology automatically made her feet and appendages emit light on her surroundings. Each day, the animators would gather with Docter and story artist Tony Fucile in a small, private screening room, where they would look over the segments each of them worked on, edit where necessary and receive their next assignments. This was a constant back-and-forth process that typically takes about 12 months. For Inside Out, the longest sequence to animate was the scene at the dinner table. You’ve already seen snippets of it in the trailer: while the family is eating dinner, Riley’s mom asks about her first day of school. Because Joy and Sadness are no longer in headquarters, Riley’s response causes some concern. That’s when get a look at the emotions inside of mom and dad’s heads. Directing animator Jamie Roe said that, since they had to edit and sift through so much animation, they gave all of mom’s emotions glasses and all of dad’s emotions facial hair, as to not confuse whose mind was whose. For dad, especially, they tried a number of different combinations, including a mustache and beard combo that ended up looking too aggressive, before settling on his hipster dad look. This was also the scene that gave everyone the epiphany of how moving this movie would be. When Docter first pitched the idea for this film to Pixar, he pitched three ideas first, but John Lasseter said it’d be better to focus entirely on what would become Inside Out. The animation giant is constantly looking for stories that will take audiences to completely different worlds, but that usually means the filmmakers are in for a long development and production process. "In the end this one turned out to be the most difficult project I ever worked on," said Docter. 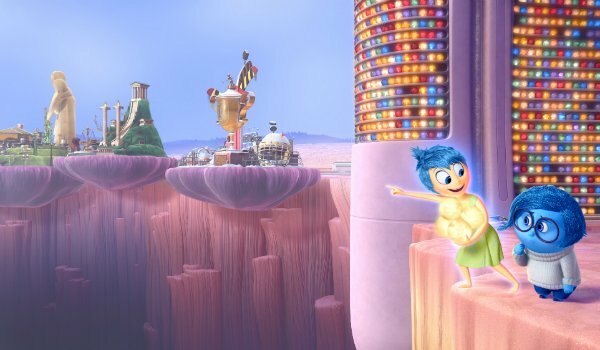 Because so much new technology and animation techniques had to be implemented to create an entirely different world that we’ve never seen more, Inside Out took five-and-a-half years to make. And it’s not even the longest developed Pixar film. Brave is currently the longest, due to all the technical aspects the film required. Typically, it takes 12 months to animate and seven-to-eight months to light a film, but because this story was constantly developing, it took a bit longer. Casting didn’t even begin until a couple years into development, and changes in the film were being made even after test screenings "just for clarity’s sake," said Fucile.